I’m wondering— what can’t be blamed on absent black fathers? Lawrence Campbell, 27, of Jersey City, went into the Walgreens with no intention of robbing the store, [Jersey City Mayor Steven] Fulop said. As CBS's Matt Kozar reported, Campbell beat up an armed guard and stole his gun. He then waited outside for police arrive. While he was waiting, he apologized to a customer for his conduct and told her to watch the news because he was going to be famous, Fulop said. When Santiago and his partner arrived to the scene, Campbell opened fire, which the officers returned, leaving both Santiago and Campbell dead. It’s worth noting that we were besieged, flooded with calls by police officers furious that we would give media coverage to the wife of a cop killer. It’s understandable. We decided to air it because it’s important to shine a light on this anti-cop mentality that has so contaminated America’s inner cities. This same sick perverse line of thinking is evident from Jersey City to Newark and Paterson to Trenton. It has made the police officer’s job impossible, and it has got to stop. The underlying cause for all of this of course? Young black men growing up without fathers. Unfortunately, no one in the news media has the courage to touch that subject. I’m wondering—what can’t be blamed on absent black fathers? Put aside for a moment that the myth of the absent black father has been debunked time and again. 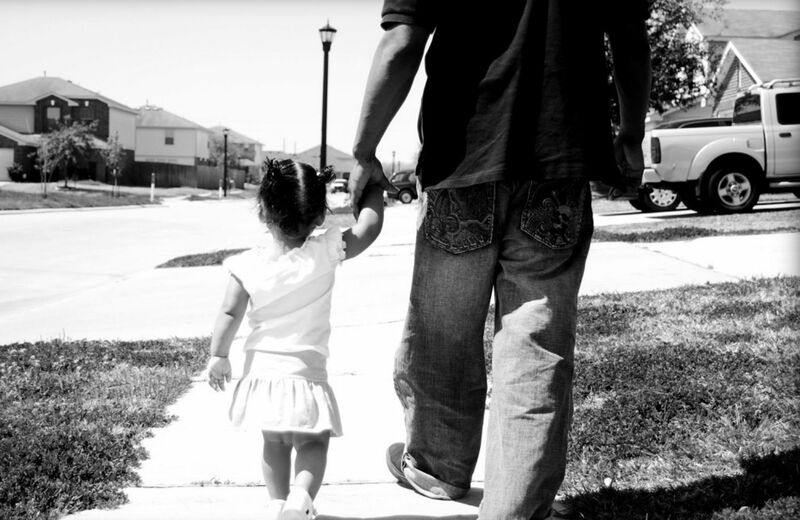 We won’t discuss how black fathers have comparable—and in some cases higher—levels of involvement with their children as do white and Latino fathers. The statistic that 72 percent of black children grow up without fathers, which gets thrown around a lot in these conversations, is about out-of-wedlock births; that doesn’t necessarily mean those children are being raised without a father. But I don’t want to talk about the facts right now. I just want to know if there’s a single problem in black communities that can not be blamed on missing fathers. Bergin believes “no one in the news media has the courage” to talk about this issue. Except that the missing black father has been a point of discourse in our media, popular culture, and academia for at least the past thirty years. Every time it is injected into a conversation about the ills of black America, the speaker positions themselves as some sort of brave truth-teller unearthing never-before-heard wisdom. But it’s one of the more common and insulting tropes we have in the canon of black pathology. One thing is true here—I’ve never heard anti-police mentality be blamed on black fatherlessness. Bergin may be a pioneer there. He’s also clueless if he believes that if suddenly every black child were to have a father present in their home at all times, anti-police mentalities among black people would subside. It’s silly to think a population that has experienced disproportionate harassment and violence at the hands of police would pass down the lesson of trusting authority to their children. But this is the disconnect. Bergin, and others who think like him, don’t see the harassment of young black men by police as a result of racism. They take the view that there are certain criminal behaviors prevalent among black men to which police are responding. If only they would clean up their acts, police would have no reason to bother them. The people who support this view rarely take it to its logical conclusion. If you honestly believe that the reason police target young black men is because young black men are more prone to criminal behavior, you have to offer a reason for why that is. And if it isn’t racism, if the centuries of public policy that has created neighborhoods defined by their lack of resources isn’t the culprit, then there must be something biologically “wrong” with black men. They have to be genetically predisposed to violent/criminal behavior and creating culture which supports that. Or else, what other explanation is there? Oh, yes. Missing black fathers. Those magical black fathers whose return to the home has the ability to cure poverty, violence, drug abuse and anti-police mentalities. A grand patriarch to save us all. It doesn’t matter that our romanticization of marriage and the two-parent (cisgender man and cisgender woman only, of course) home can be dangerous, as evidenced by this New York Times op-ed on domestic violence. It matters even less that the reason raising children in two-parent homes is more advantageous is because our public policies favor marriage and offer little support for single-parent or other “non-traditional” family structures. And the fact that these black men so many people want to step up and be fathers face discrimination everywhere from the job market to the legal system isn’t even up for discussion. No, it doesn’t matter. Just get young black men some fathers and everything will be fixed. What happened to Melvin Santiago is tragic, but whether Lawrence Campbell had a father in his life (Bergin never bothers to report on this detail) is neither here nor there. The legacy of racism and white supremacy will not be undone by an army of magical black fathers.